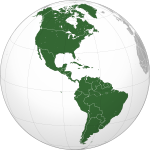 ^ Danish monarchy reached Greenland in 1380 with the reign of Olav IV in Norway. 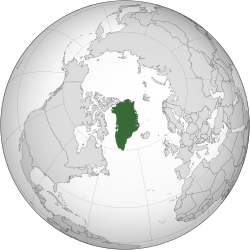 ^ Although previously under Danish monarchy for four hundred years, Greenland, the جزائر فارو and آئس لینڈ were formally Norwegian possessions until 1814. 1,755,637 کلومیٹر2 (1.8897519392261×1013 فٹ مربع) ice-covered. ^ ا ب (ڈنمارکی زبان میں) TV 2 Nyhederne – "Grønland går over til selvstyre" TV 2 Nyhederne (TV 2 News) – Ved overgangen til selvstyre, er grønlandsk nu det officielle sprog. Retrieved 22 January 2012.